Well, what a busy month this has been, and honestly, I read more than I thought I would get time for! Before we get started, I just want to say that I hope you have had a wonderful Christmas and I wish you a safe and happy New Year! Now, let’s get to it! If you have seen any of my previous blog posts about this book, you will already know that I fell head over heels for it. Lock, stock and barrel, I am obsessed with it. There is something magical about an island in the middle of nowhere, with mythical horses born of the sea. A young man, wiser than his years, with a knowledge and passion for said horses. A young woman who is filled to the top of her head with courage and a need to prove herself for her family. This book is amazing and is definitely up there as one of the best books I’ve ever read. This book had been on my radar for a long time, I had seen it all over Bookstagram and lots of positive reviews on GoodReads. When it was sent out in an OwlCrate box, I figured it was time that I read it! However, I did have a few issues with this title, more to do with the pacing, the writing style and the un-likability of the protagonist. That being said, it is a good read and I will be reading the next book to see what happens, purely because the last 50 pages really lifted the entire feel of the book. This book intrigued me, as this year there have been a lot of releases about lying, fraudulent activity, hiding who you really are, etc. So naturally this title demanded to be read. In true e. lockhart fashion, this book was incredibly well written, engaging and fast paced. However it was hard to keep up with the constant change of perspective, with the murdering and the no consequences of any illegal actions. But I think that is the point. It is designed to be entertaining and take you on a ride. I did enjoy it, but there was a point near the end where I said to myself, ‘what the heck have I read?’. Well, I don’t really know where to start with this one..This book actually made it onto two lists! It also features on my Books That Let Me Down This December Post! Click HERE to read! If you haven’t read my post that I mentioned in the above sentence, it let me down. 290 pages were literally us watching as Phoenix is tortured, forced to fight children, forced into electro-shock therapy, conditioning, you name it, she went through it. It was hard to read, and it left me feeling traumatized and stressed because of it. That being said, the last 40 pages were amazing. It picked up the pace, the characters grew, the dialogue got interesting. And then the book ended. So I’m going into New World: Inferno with no expectations, I just hope that the torture aspects are gone.. This book was amazing. It was refreshing as well, within YA fiction these days, books tend to overlook the issues that seem common place, and go for the out there things. This book embraces ‘common’ issues for teens. It is modern, moving into the outlook that girls can be gamers, that they can be coders and that they can create games that hundreds of people can play. This book looks at adoption and foster homes in a whole new way. We see Rev in a loving home, we know he is adopted, but that fact only comes into it when we need to hear about his biological father. Which is another aspect that is so incredibly moving. Once again Kemmerer has created a masterpiece. Her writing style is so easy to read, the pacing is always perfect and her works are always about something current and the content always hits you on a deeper level. So that was my December in books! I am pretty happy with this Wrap Up, not only because of how I enjoyed the book I read, but because I read two of the books I had on my December TBR, usually I write a TBR and then read nothing on it, I tend to choose books based on how I’m feeling. I also feel a little bad, because I have a stack of NetGalley ARCS that I was hoping to get to, and didn’t. So after I finish my current read, look out ARCS! Have you read one of the books in my Wrap Up? Comment below and tell me what you thought! Before I start, I want to say this list isn’t a list of books that were published this year, although some may have been. This is a list of books that I have read this year and love. My 5 star rated reads! This was a hard list to write, some were easy, anen’t so easy and I found it hard to reduce it down to just 10. So I didn’t… This is actually my top 14 favourite reads of 2018! So, in no particular order, lets begin! Thoughts: I absolutely adored this book, my only gripe is that it is too short! I would love another book solely about the Swan Sisters or about how Penny ends up after the whole event. This book is such a nod to folklore and witchcraft that we often associate with little towns such as Sparrow. But it is also a fantastic tale on its own, even without the magical element. But I am so glad that, that element is woven into the tale. The protagonist is so strong, she lives practically on her own, ever since her father vanished, her mother turned into a shell of who she used to be. Penny is the care taker of the lighthouse on Lumiere Island, and once a year, the Swan Sisters come out to play in the Town of Sparrow. Thoughts: This book blew my mind. Yes, there are a lot of mixed reviews about it, but for me it was a show stopper. There hasn’t been anything like it before, and there won’t be again. Melissa Albert has taken a whole new turn into fairy tales, and it is terrifying. Throughout this book, I was constantly looking over my shoulder, worried that The Hinterland was spying on me simply for reading the book! It is intense and you can never work out what is real and what isn’t. I love the overall premise of this book too. That Fairy Tales are only alive, as long as someone is telling them. That telling them is giving them power to stay alive in our minds and hearts. And even in The Halfway Wood. Synopsis: Would you trade your soul mate for your soul? Thoughts: I read this bad boy early in the year, so my mind is a little fuzzy on the finer details, however I do remember nearly dying from sadness at the end. Once again, Cassandra Clare has written a masterpiece from the Shadowhunter world and with Queen of Air and Darkness being released NOW, I am not ready for the world to end. Julian Blackthorn and Emma Cartstairs are my favourite Shadowhunters (Unpopular opinion I know), and I am so scared to see what will come of their love, of their family and of themselves, as we continue the series. The government claims she was a terrorist and that they are giving her a second chance – as long as she plays by their rules. But echoes of the past whisper in Kyla’s mind. Someone is lying to her, and nothing is as it seems. Who can she trust in her search for the truth? Thoughts: This series was a refreshing dip in the pool of young adult, dystopian fiction. Slating is where children under the age of 17 who have committed crimes or are socially unpleasant, have their minds completely wiped, they then are placed in a new home, where they re-learn what is acceptable and what they must do within society, a fresh slate, so to speak. Only, like with so many technological advancements, some things aren’t what they seem. Teri Terry has created a masterpiece with this series, it does slow down in the middle, but it picks back up again in the final book. Well written and easy to read, you will want to devour these books in one sitting! Synopsis: Jack is a walking fossil. The only human among a sea of clones. It’s been hundreds of years since humanity died off in the slow plague, leaving the clones behind to carry on human existence. Over time they’ve perfected their genes, moving further away from the imperfections of humanity. But if they really are perfect, why did they create Jack? Thoughts: I received this book in the Booked For The Weekend book subscription box. I am an enjoyer of Sci-Fi, but I don’t seek it out, so when this book arrived, I was a little dubious. At the time, it wasn’t released in Australia, so it felt like a sneak peek, that I was getting an exclusive invite to, so naturally I picked it up as soon as I could. I was not disappointed! This book takes us on a journey of clones, science, love and living on another self-sustaining planet. Where there are up to 12 clones of one person, and all people are cloned to look like the founders of the colony. It is a shorter work, but fantastic to dive into and not come up until the final word is read. Synopsis: There are always those who are willing to pay for someone else’s death. Having grown up amongst the Family of Assassins, Elen-ai knows well the prices people are willing to pay to see their enemies fall quickly, quietly, and discreetly. When she is asked to preserve life rather than take it, she is surprised. Upon hearing that her charge is the Queen’s only child Gidyon, who is secretly being groomed to succeed his mother, she is horrified. To ensure political stability, no man has ever sat on the throne of the Queendom of the Seven Lakes. Yet one does not easily refuse a Queen, and so reluctantly, Elen-ai accepts the contract. Her fears only deepen upon meeting the sixteen-year-old Prince Gidyon, who treats her as no better than a petty murderer. However, following an attack on his life, Elen-ai is forced to admit that the danger of leaving this boy-prince alone may be even worse than leaving him to his own devices. Elen-ai reluctantly accompanies Gidyon across the country to identify those within the seven most powerful families who are responsible for the attempt on the Prince’s life. Thoughts: I was sent a e-copy of this fantastic book by the author, the Lovely A.B Endacott, in exchange for an honest review and the chance to create some merchandise for it, from my company Bookish Intoxication (Link here if you are interested). This book takes us on a journey around the Seven Kingdoms with the charming Gidyon and strong and quite hilarious assassin, Ellen-ai. If you are into sagas then this one is for you! Set in what feels like medieval times, with queens and kings, assassins and murder. A fantastic debut novel and first book in a wonderful series! Synopsis: An emotionally charged story of music, abuse and, ultimately, hope. Thoughts: Just let me cry for a minute while I reminisce on this masterpiece. This book left me in tears on more than one occasion. Incredibly well written, this debut novel was a show stopper! This book devours you, heart and soul, you only want the best for Beck and want what he wants. You don’t devour it, it devours you. The lovely C.G Drews has another book in the works, set to release in 2019. Find it HERE. Synopsis: Rose, Ella, Marta and Carla. In another life we might have all been friends together. But this was Birchwood. Is her love of clothes and creativity nothing more than collaboration with her captors, or is it a means of staying alive? One thing weaves through the colours of couture gowns and camp mud – a red ribbon, given to Ella as a symbol of hope. Thoughts: This book isn’t my usual genre choice, but I do love history. This book follows the story of an inspiring young woman in a concentration camp in Nazi Germany. A single red ribbon is all she has to keep her sane, to keep her alive. She becomes a dress maker in the camp workshop, gains the ears of the soldiers and finally is released from the camp and her dreams become reality. She becomes a seamstress in the real world, with her friend and potential partner by her side. It is a confronting book, but to uplifting to see the passion and strength in these women, considering the setting that they are a part of. Synopsis: For the millions who log in every day, Warcross isn’t just a game—it’s a way of life. The obsession started ten years ago and its fan base now spans the globe, some eager to escape from reality and others hoping to make a profit. Struggling to make ends meet, teenage hacker Emika Chen works as a bounty hunter, tracking down players who bet on the game illegally. But the bounty hunting world is a competitive one, and survival has not been easy. Needing to make some quick cash, Emika takes a risk and hacks into the opening game of the international Warcross Championships—only to accidentally glitch herself into the action and become an overnight sensation. Thoughts: This book is so forward when it comes to technology. This is what blew my mind, more so than the story line. The way that technology has grown and made its impact on society, how there are interfaces that make the real world technological so that you can get more out of life, is incredible. What is even more incredible is that I can see something similar becoming part of our society in the future. Emika is a fantastic character, she is deep and smart and brave. She is courageous and isn’t afraid to be who she is. I want to write more on the subject, but I can’t without spoilers! Synopsis: Today, he’s a high school dropout with no future. Thoughts: Gwen Cole is a mastermind. This book is so different to the YA books currently available. This book contains time travel, love, family and finding yourself. It is so incredibly written you won’t be able to put it down. The relationships in this book are so complex and deal with issues that aren’t usually written about due to their being thought of as common place. I read this book in one sitting, and then read it again the next day. Synopsis: Emmett Atwater isn’t just leaving Detroit; he’s leaving Earth. Why the Babel Corporation recruited him is a mystery, but the number of zeroes on their contract has him boarding their lightship and hoping to return to Earth with enough money to take care of his family. Before long, Emmett discovers that he is one of ten recruits, all of whom have troubled pasts and are a long way from home. Now each recruit must earn the right to travel down to the planet of Eden – a planet that Babel has kept hidden – where they will mine a substance called Nyxia that has quietly become the most valuable material in the universe. But Babel’s ship is full of secrets. And Emmett will face the ultimate choice: win the fortune at any cost, or find a way to fight that won’t forever compromise what it means to be human. Thoughts: These are the first two books in a trilogy or triad ad Reintgen calls it. It is set in space, teenagers are selected to become the first team to live on a new planet, to get rich doing it, or die trying. These books are so well written, they keep you on your toes and draw you in to each of the individual stories of the characters. I love the way a whole new planet is described, how Reintgen has written it, makes it seem so plausible for there to be other habitable planets in our solar system. But these books also have an incredibly dark element, physical and mental conditioning, trauma and training follow these teens in their travels to Eden. Synopsis: Rev Fletcher is battling the demons of his past. But with loving adoptive parents by his side, he’s managed to keep them at bay…until he gets a letter from his abusive father and the trauma of his childhood comes hurtling back. Emma Blue spends her time perfecting the computer game she built from scratch, rather than facing her parents’ crumbling marriage. She can solve any problem with the right code, but when an online troll’s harassment escalates, she’s truly afraid. Thoughts: I have only just read this book in December, and it only just had time to make this list! What an incredible book! It is part of a standalone series, that follow the lives of the same characters, just from separate points of view. This one is about Rev. And what an amazing young man he is! I spent this book crying, laughing and feeling the heart-wrenching pains of not knowing who you are and what your purpose is. Of feeling rejected by everyone you care about. Of wanting the best for someone who won’t give you the chance to help. In this book we meet Emma, she is strong and super intelligent, she is a gamer and game creator. What makes this story line different is that it shows what the real-world hides for female gamers and game creators. That they are constantly bullied, threatened and sexually abused. This book does have a lot of content that should be trigger warnings, that being said, it is a fantastic book and everyone should read it! That wraps up my Top 10 Reads of 2018… even if there were 14 books on the list! I want to see your top 10 reads! 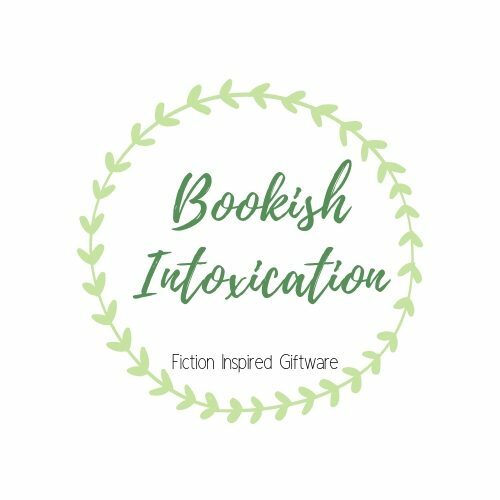 tag bookishintoxicationwrites in your post so I can find it! Are any of your top 10 reads on my list? Comment below! Lets chat! Crime Fiction – Passing love or a lifetime commitment? all of which have their own shelf on my book case. I had to have them brand new, in hard covers. My collection needed to match, they had to be the same height and be in order of their release date. And in all honesty, I didn’t even read them, and still to this day, I haven’t read them all. My obsession told me I needed them. because I loved the TV show so much. When I did get around to reading them, I discovered something, that I wasn’t all that surprised about, about myself. I love the science surrounding crime-fiction. The forensics, the anthropology, the criminology, all of it, attracts me like flies to a bad smell. And when I started, I needed more. So of course I started reading Val Mcdermid and Alex Kava, both who have incredibly cheap books at the local book stores, often in the $5.00 bin near the counter (this doesn’t mean they are bad reads, it means they are mass-produced). So obviously, I had to have them all… and so my obsession with collecting all of the crime fiction books continued. But, I never read any of them, not until recently, they just sat on my shelf, and I called myself a crime-fiction fan, simply because I had them. I think that says a lot about bookworms in general, we read a few books from a certain genre and suddenly that genre is life and we need to have all the things pertaining to that genre. Just recently, I went through my books and decided that I didn’t want to have shelves full of books that I bought, didn’t like or read, but kept because, you know… books. So guess what was the first to go? You guessed it, most of the crime-fiction. Not because I don’t enjoy it, I actually think, I enjoy it now, more than I did when I was younger, but because it isn’t my favourite genre and I don’t think it ever was. I guess the point I am trying to make with this post, is that crime-fiction is a genre that will last the test of time, it will have fads where it is the top of the genre food chain, and then it will drop off again for a few years. Why you ask? Because humans are obsessed with death, with criminology, with understanding about dying, murder and the science behind it. We are morbid, creatures of habit, who need to be told what horror can look like, so we can confirm that we are okay, that we have good and safe lives. Crime-fiction will always be one of those genres that people read, want to read, hate to read, etc. It will always be talked about and discussed, it is reality turned into fiction and that speaks to us as humans on a ‘hits too close to home’ level, but isn’t that the entire point? To be scared, to be psychologically thrilled? Crime-fiction, for me will always be a large part of my bookworm growth, it showed me that just because you love one author from one genre, doesn’t mean you will love them all. It also showed me that just because you are into a specific genre ‘now’, doesn’t mean you always will be. For me, Crime-Fiction was definitely a passing love. How do you feel about Crime-Fiction? Passing love or lifetime commitment?